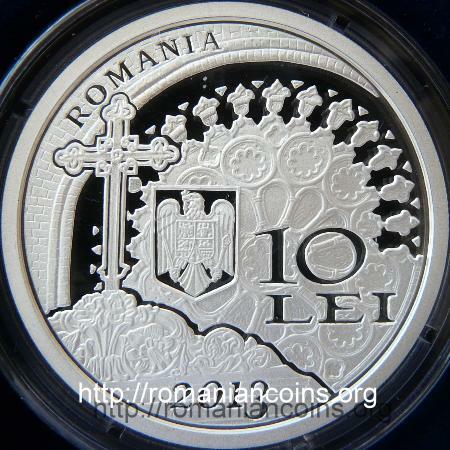 Obverse: ROMANIA, coat of arms of Romania, face value 10 LEI, year 2013, architectural details: cross above the entrance and rosette Reverse: church of Antim Monastery, an image of metropolitan Anthim the Iberian, year 1713 and inscriptions "MANASTIREA ANTIM BUCURESTI" and "SFANTUL ANTIM IVIREANUL" meaning "ANTIM MONASTERY BUCHAREST" and "SAINT ANTHIM THE IBERIAN"
The history of the Antim Monastery began in 1713, the founder being Antim, the metropolitan of Wallachia. The church was built for replacing an old one, which was of wood. The new place of worship was consecrated in 1715. The monastery courtyard was surrounded by walls. The monastery was dedicated to All Saints and was endowed with religious objects and vestments, books, and also with estates, vineyards and mills. The monastery and its church have seen many events during the 300 years of its history. The great earthquake of 1738 collapsed the church steeples, which were restored later. The nowadays towers were built in the period of the Second World War. 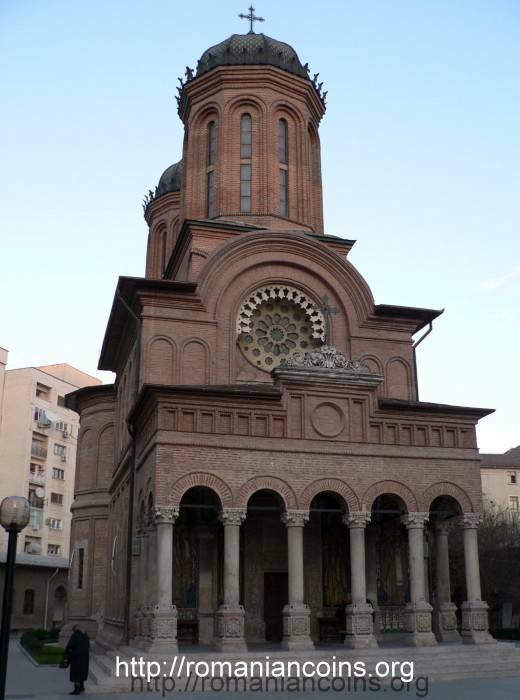 Together with the restoration of 1860-1863, the rosette above the entrance was added, and the church became the church of a parish. Between 1910 and 1912, the Palace of the Holy Synod was built in the courtyard of the monastery. Between 1964 and 1966 all the Antim buildings were fully restored. 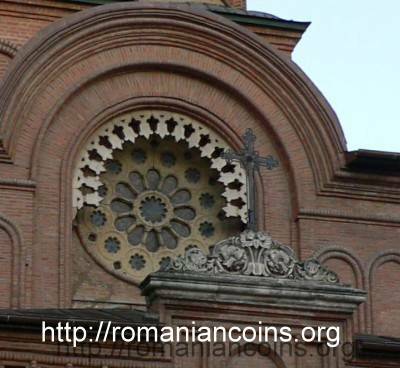 On the last grand systematization of Bucharest of the last century's 80s, the monastery's appearance was affected. Among other things, the Holy Synod Palace was moved, rotated and placed much closer to the church. Between 1945 and 1948 at Antim (inside the Synodal Palace), the prayer group Rugul Aprins [Burning Bush] had acted, its members being brutally repressed after the installation the People's Regime in Romania. Metropolitan Antim was born around year 1650 in Georgia, a country named Iviria by the Romanians. Hence the name of Iberian. Antim's secular name was Andrew. Enslaved by the Turks, Andrew reached Constantinople, being redeemed - probably - by patriarch Dositheus of Jerusalem. He was tonsured as monk under the name of Antim. The future metropolitan came into Wallachia at the beginning of the rule of Constantin Brâncoveanu. In his new country Antim proved to be a prolific printer. In a stretch of 25 years more than 60 titles have appeared in the print shops that he led or established. His books were written in Romanian, Greek, Slavic, Arabic. A large part of these books were written or translated by Antim himself. With these books the Romanian language consolidated even more its rightful place as religious language. Antim was advancing fast in the Orthodox hierarchy: abbot at Snagov Monastery (around 1696), bishop of Râmnic (1705) and finally metropolitan of Walachia (1708). In 1716, Nicholas Mavrocordatos (1670 - 1730) forced Antim to retire from his seat of metropolitan. Deposed by the Patriarchate of Constantinople, Antim was exiled to Sinai Monastery. Antim was killed by the Turkish soldiers who were guarding him on the way toward his forceful exile. His body was thrown into the Tundzha River (a tributary that is emptying into Maritsa River near Adrianople - Edirne). 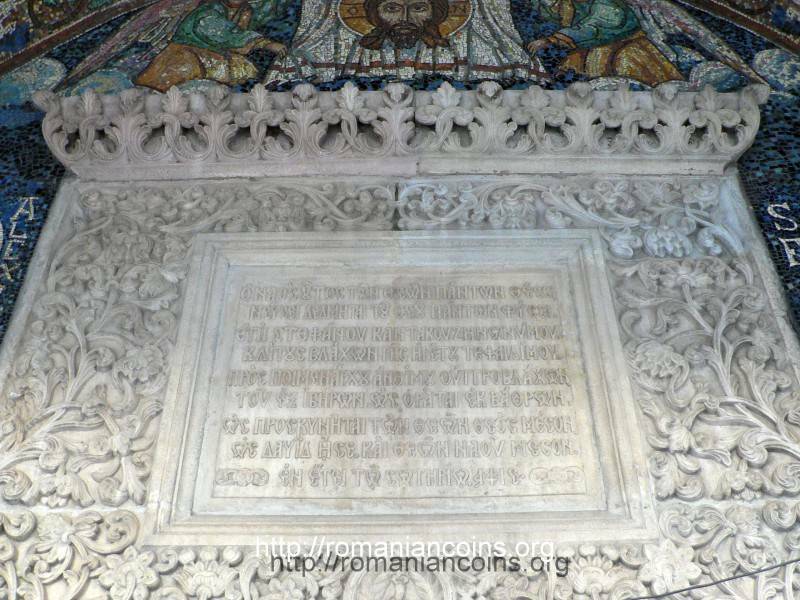 In 1966 the punishment received by Antim was raised by the Patriarch of Constantinople. 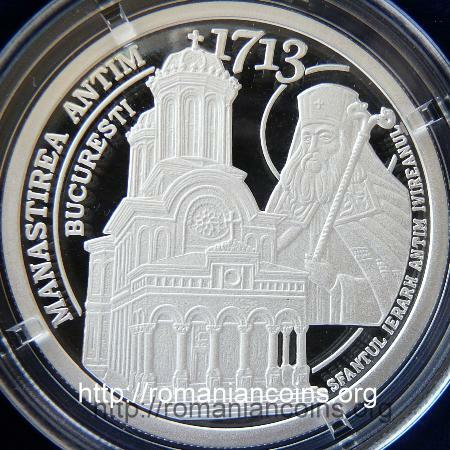 In 1992 the Romanian Orthodox Church canonized Antim. Saint Hierarch and Martyr Anthim the Iberian is feasted of 27th of September. From the name of the Metropolitan came also the name of Antim Cup, a trophy offered to the winner of the rugby matches between the national teams of Romania and Georgia. 1. 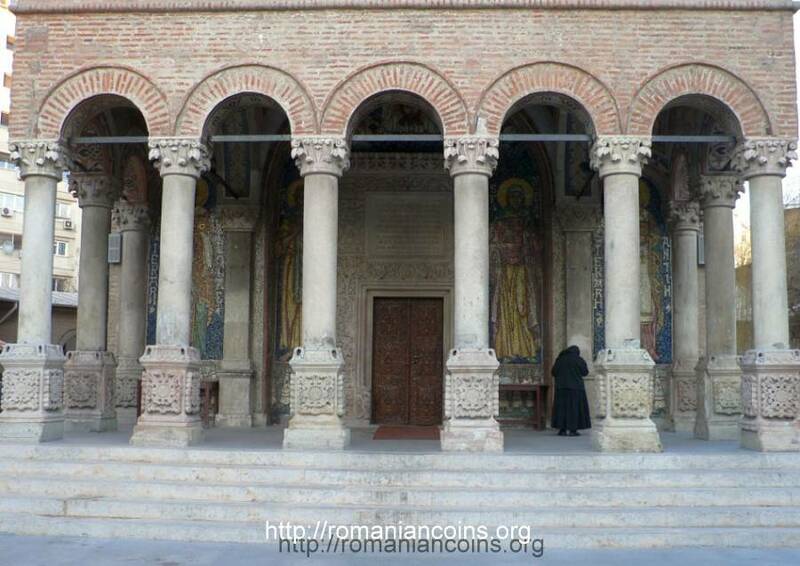 ***, Website of Saint Antim Monastery, chapel of the Romanian Orthodox Church Patriarchate. March 2013.